So a seven mana 4/4 that lets you search for any aura and then put it into play attached to it. Honestly, the purpose is lost on me. 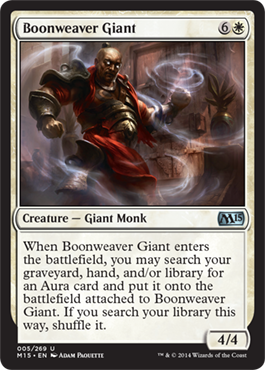 Maybe it could fit in a Zur the Enchanter or Uril, the Miststalker EDH deck, but I don't see this being played in Standard. 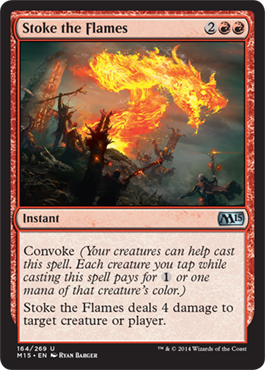 This is the kind of card I expect to be found in some artifact heavy set, like either Mirrodin block, but it gives all artifact spells convoke, which I guess is cool. Pretty much a flying 4/4 that must be cast as the second spell of a turn. Eidolon of Rhetoric would lock this down. 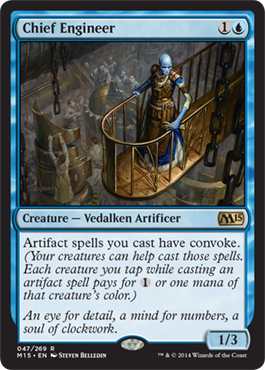 Maybe this "cast only if another spell was cast before this" thing is new and Eidolon of Rhetoric will have a major purpose or become a go-to sideboard card for white? Wizards is reprinting the expensive Modern/Legacy favorites, eh? This guy is pretty expensive at about $30 (the original, not the reprint) on Star City Games and around a $33 average on TCGPlayer. This is like how Urborg, Tomb of Yawgmoth is being reprinted and was $40 (so was Chord of Calling, but after the announcement of the reprint, each dropped $10). 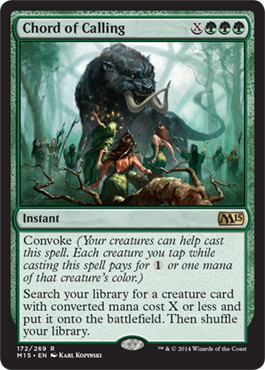 Still, this is a pretty great card letting you find any creature in your deck. This is actually pretty cool. 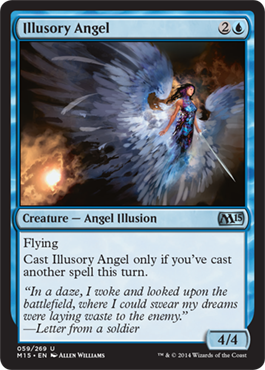 A 2/1 for 2 that you can use to sacrifice and create mana, then cast a creature and give that creature haste. Looking pretty good. You could also use it to cast two separate creature spells and give two creatures haste, provided you have other mana sources available. Additionally, I can see this card being used paired with Aggressive Mining (Notch's card) as, while you can't play lands, you have these other mana sources. Not a 7/7 for one of each colored mana, but a 5/5. 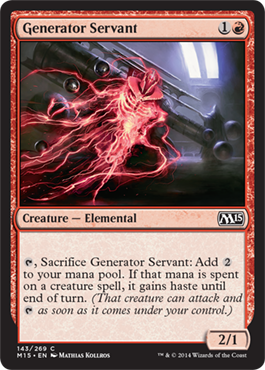 Of course, this drop of power and toughness is all well and good, especially when this guy gives all Slivers you control indestructible. 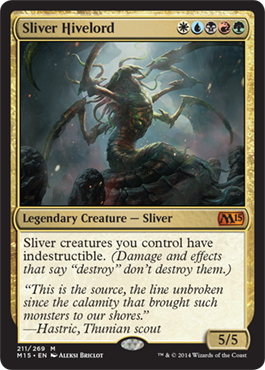 I like it and will definitely add it to my Sliver EDH deck.